We suspected that the pilot culls that began in Somerset on 26 August 2013 would fail to kill the required ‘at least 70%’ of the badgers in the zone given the likely challenges of shooting wild badgers at night. We were concerned that free-shooting badgers by gunmen with insufficient training would be inhumane. And we wondered how on earth the police would ensure public safety. Knowing that the proposed monitoring by government services would be woefully inadequate, we decided to walk the Somerset footpaths at night to see what happened for ourselves. We quickly found that many people from all walks of life had gathered in the cull zone to do much the same thing. It seemed people simply couldn’t stay at home as the biggest, Government-sanctioned cull of a protected species began in earnest. But at that point, little did we know that we would be unwilling witnesses to the abject failure of the pilot culls or how much we would learn and discover about the cull operation itself. As a wildlife filmmaker with years of experience working at night in difficult conditions, I’m used to collecting observations from an apparently random set of events. At times, a friend who is a senior ecological scientist was able to join me. We were shocked at the constraints placed on peaceful monitoring. Rumours circulated that photography could be seen as harassment and a few people were arrested and put under curfew for attempting to record events. Taking notes or going out with maps could be seen as ‘going equipped’ or ‘conspiracy’ and subject to the same penalties. Our movements and behaviour were constantly monitored by large numbers of police, ostensibly deployed to ensure public safety. On the second night, we saw unleashed dogs without muzzles being used by shooters as they walked along hedgerows. Other people heard the barking and growling of dogs in-between shots. Was this an outbreak of unbridled lamping for foxes and rabbits or was it associated with the badger cull? We asked Defra on Twitter. They quickly posted a reply to say no dogs were associated with cull operatives. We no longer saw or heard dogs at night. As the first week unfolded, we noticed that shooting activity with both moderated and un-moderated weapons implied that the operation was being carried out in a haphazard, non-contiguous way departing significantly from the culling methodology carried out by the Randomised Badger Culling Trial (RBCT). We learned subsequently that monitors from Natural England found that some cull operatives had so many sites allocated to them that they were unable to reach them regularly. Such a substantial departure from the methodology used by the RBCT makes it far less likely to achieve even the limited benefits expected from culling badgers – and increases the risk of actually making TB in cattle worse, due to the ‘perturbation effect’. It also begs the question whether the farming industry and cull companies are in fact the right people to carry out badger culling – in any form. More observations from the cull zone add to this belief. Prior to the start of the culls, we had familiarised ourselves with the Best Practice Guidance produced by Defra. Amongst other things, it states that the use of a white light spotlight or infra-red rifle scope required the presence of a second person to “scan the wider area for unexpected non-targets, e.g. livestock and members of the public”. So why did we increasingly see that cull operatives became deployed as lone shooters only equipped with infra-red rifle scopes? Did this constitute a breach of protocol that could have had serious consequences on safety? A recent article in The Ecologist poses similar questions. The shooting team also had to undertake risk assessments prior to any culling operation in order to ensure that safe sites were selected and “to avoid shooting if there is any risk of accidental injury to humans e.g. near rights of way, near boundaries with third parties, on the edge of villages and near to rural dwellings…”. So why did we frequently hear shots close to footpaths and lanes and, at times, have shots whistle over our heads? The Natural England compliance reports mention that at times an unsuspecting dog walker was only two meters from a shooter hiding in the dark. The ammunition used was high-velocity and the IEP notes that some cull operative shifts lasted days. So was it purely luck that there wasn’t a fatal accident? At the time of writing, no-one in the Government or the police can tell us who will be liable if there’s a fatal or serious accident. Would it be the landowner? The cull company? The cull operative? Or the police. Or would the Health & Safety Executive be sued due to not enforcing proper risk assessments? After the first 10 days or so, we heard fewer and fewer shots at night. Although moderators were often used, the sound of a moderated shot can travel a fair distance at night when the air is still. Soon, a leak from within the cull companies and widely circulated in the press corroborated our suspicions that the cull operatives were finding it hard to shoot enough badgers to fill the daily quota required to ensure at least 70% of badgers were killed in the zone by free-shooting. On that date, it seemed everyone who possessed a gun in Somerset went out to fire wildly into the night. The evidence was mounting that some of the cull operatives were far from the professional team of marksmen that the Government so often referred to. Despite the limited application of free-shooting and the lack of accessibility to the cull operation, a few of our patrol members believe they heard wounded badgers squealing in pain and fear as the first shot failed to kill them; and two dead badgers were found that had collapsed and died after running from shooters. Despite heavy police pressure that included road-blocks to search cars, the carcasses of two shot badgers were successfully rescued and examined post-mortem by an independent expert forensic pathologist. One had been shot in the spine and suffered significant stress and pain before dying. Scientific tests revealed that both were free from TB. After the long weeks of the cull finally drew to a close, we can also testify to the socially divisive nature of such a controversial policy that has torn communities apart and set neighbour against neighbour. Police records show that as the tensions rose, aggressive encounters between supporters and opponents of the cull increased. Data from the Government’s Independent Expert Panel’s report on the pilot culls indicate that far less than 50% badgers have been killed in both zones by a concerted combination of cage-trapping and free-shooting. In reply, the Government has stated that the low percentage or numbers don’t matter; a startling reversal from their repeated statements prior to the cull that at least 70% of badgers must be killed. These latest claims are highly questionable. Peer- reviewed scientific data (1) show if cull rates are as low as 30%, then bTB could rise by 20% in both zones (2) We are also now aware of the estimated cost of culling. 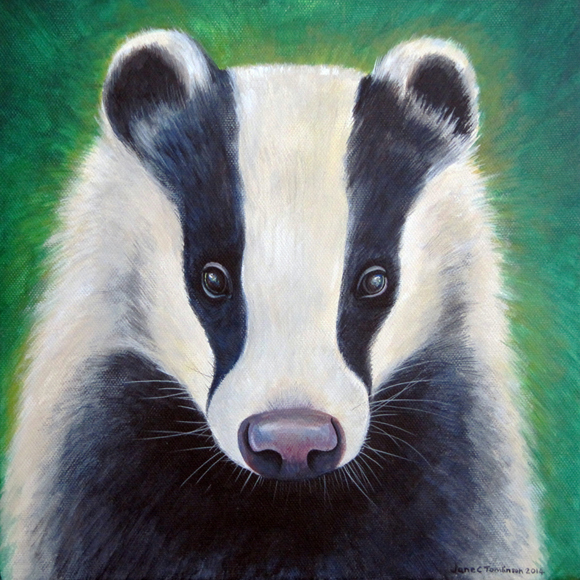 Presently it stands at over £4,000 per badger and when the accurate costs come in, it could be more. Since neither science nor economics justify badger culling, it would appear that this policy is primarily motivated by politics. The pilots and extensions have failed to meet the Government’s stated objectives with regard to efficacy and humaneness. They appear to have been implemented in an unprofessional, uncoordinated and ultimately meaningless fashion, for the cost of badger culling far outweighs the Government’s own optimistic but meagre projected benefit in terms of reduction in the rate of cattle TB increase. The science also strongly suggests that the failure to implement the culls properly means there is a high risk of making the cattle TB situation even worse locally. With the improvements to cattle testing implemented in Wales and Ireland already showing significant benefits without culling any badgers, it is time to stop deploying this particular ‘tool’ in the Government’s ‘toolbox’ to address bTB in cattle. The Independent Expert Panel has called for significant changes to be made in this summer’s cull but the Government’s intention on how this is to be achieved is less than clear. But if culling continues, with even less official monitoring than before, the increasing numbers of opponents, including ourselves, will be out somewhere in the culling zones once again.